How do I update my name in Tailwind? Keep your information up-to-date by changing your name in your Tailwind Profile. Ever noticed we call you by the wrong name when we send you message? Sorry about that, we just didn't know better- but you can fix that so we know what to call you next time. 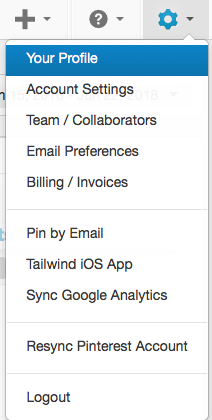 Here is how to update the Company Information for your Tailwind Profile. Go to Your Profile (located in the settings menu in top right hand navigation). 2. Give yourself a new name under the Contact Info and Your Company / Organization, and finally Save Changes.